Willoway Farm offers Community Supported Agriculture Heirloom Vegetable Shares, Heirloom Flower Bouquet Shares and brown and blue egg shares. In addition our vegetables, herbs, and flowers can be found at locally at weddings, local restaurants and local shoppes whom support local vendors. I met Jacqueline Fulcomer from one of my Podcasting friends Dr. Anh who has a podcast called Food as Medicine and it’s such a coincidence because Jacqui used to live right near me here in Montana just 6 miles away in Fortine where I worked as a teacher. As you know I’m Jacqui, I live in Fredonia ,WI about 45 miles north of Milwakee. My partner and I manage an 8 acre farm… where we have about an acre and 1/2 of vegetables cut flowers and herbs tat we manage organically. We also have about 75 young apple trees on our hill that we graft every spring. We own root stock, we sell to CSA clients… Community Supported Agriculture. Then we also sell to local chefs… we also sell to one local school and attend a local market as well. I’m so glad you explained CSA is Community Supported Agriculture. Now do you have a podcast? B. it’s a way people can simply listen to the podcast and don’t have to be locked into the screen from picking up the basket…. As a child I didn’t really like other veggies but cucumbers were it for me… After that I was always drawn to doing outdoor work in nature… and when I landed in WF MT, 1999 spring, I can’t even remember sometimes…. My room mate attended and had been to Purple Frog Gardens in Whitefish, and she brought me over the and this was one of my first roommates. I started volunteering at Purple Frog Gardens and Pam was like, you know I’d be happy to pay you. On the weekends when I wasn’t working for the forest service I was working in her garden with the her chickens adn the apple trees and whatever she needed help wiht. And Pam from episode 118 was just an amazing guest on my show in February I think! If you want to hear more about Purple Frog Gardens she’s been doing this for years and talks about community and volunteers and just tons of great tips there! Do you want to tell listeners just a tiny bit about working for the USFS in case they’re interested? Well, you know, I when I left Rawling NJ where I was raised, I left at 18, went to Paul Smith College beacsue they ave a forestry program and I basically wanted to get paid to work in the woods that was my dream! So once I landed in MT, because of my experience with the forestry classes, I did get a forestry position and I did that for 4 summers, 3 summers in MT, once in Alaska. That kind of work was mostly labor, I was also working on the fire crew in Alaska, did get to do a little traveling. otherwise, when I was working in Montana, it was more local they did not fly us out… it wa rellsy a lot of expereiences and it showed me what I was capable of doing, I got to be chain saw certified. So I graduated from forestry work, so I don’t pick up a chain saw anymore! Whenever I ran a chain saw, I always wore chaps, I’d never run my chain saw without protecting my legs, I’ve seen many men not wear their chaps! I’ve always been afraid of chain saw, I barely pick Mikes up to carry it … forget run it! And there’s the whole tip a tree over, and is it gonna fall on you and that part!!! Whenever I ran a chain saw, I always wore chaps, I’d never run my chain saw without protecting my legs, I’ve seen many men not wear their chaps! You know Mike and I met on a mountainside planting trees up here… I love your whole thing about put your self out there…. I wuld have never met Mike or found this place I still remember driving up from Missoula and then from Whitefish to here… and thinking that I was in the middle of nowhere! And thinking there were trees everywhere and I lived at Murphy Lake for the 3 weeks and knew nothing about Fortine and Eureka and I remember walking into the old antique store that used to be the Fortine store when it was still in the old antique store and being so ecstactic to be able to get bagels! and Milk! Muprhy Lake is still one of my all time places to go in the whole world! we purchase our organic feed from Cashton Farm supplies it’s a non-soy certified organic feed for our layer chickens. Pam did feed her chickens soy at the time. There were a lot of things happening on her farm, and she also grew flowers, not a lot at that time, but some. Just being at a job and getting face to face with soil, was a little more intimate, a different intimacy then working for the Forest Service you’re more engaged in helping things grow and understanding how the soil works. After a while me and Dan did move to Wisconsin and he’s from Fedonia, WI… and Montana’s great but it’s very seasonal. Me and Dan met at a ski mountain restaurant so I worked at the Forest Service during the summer but the problem with ski towns is they’re great but if there’s no snow in the winter, people aren’t really coming and then your income goes down. For me there was a little bit of instability and moving to Wisconsin, we discussed and having family around can always be helpful so we decided that would be good move. There was a field that we plowed under about an acre garden, with raised beds about 4 feet wide, I forget how long our garden bed was… there were 4 sections. We grew our vegetables and flowers, Dan built a greenhouse to start all of our stuff. That summer we sold to chefs and a farmers market. We did not have a CSA that summer, but it was a great expereince! We learned a lot and I was like hey I think we can do this! We lived in an old barn, we simpley had to spread biodynamics crops on about 80 acres for the rent on the land. And it was a beautiful place, so our overhead was really low! It was a beautiufl place! That was in 2005, I was probably in my late ’20s and we were planting tulip bulbs. And you just get inspired to plant the apple trees. Me and Dan really wanted to grow fruits and vegetables, but part of me wanted to do that on our land! Instead of doing it somewhere else, because we don’t stay young forever, I didn’t want to be much older parting apple trees, you can do it, and it’s just a little bit harder, and you don’t see the return as soon! … moving by family is what a great thing! My parents were like you’re gonna be so far away and never come home and I was like no I’m gonna come home, and you never realize how much youre gonna miss it! And I’m lucky if I go home every other year beacuse it is so hard to make a living here…. I’m from NJ and Dan is from Wisconsin and lots of people make the move to Montana and stay there, but for us… we have 2 kids here, and they help out immensely, and we couldn’t do it without that family help… we had to get to know that community… we had a wonderful dairy farmer, he was the one who loaned us some equipment. They wanted to see that farm get a new breath of life and after we came there, becasue we were only there for one year, she had a new couple farmes, there’s still doing their stuff, they have sheep there, and they’re doing vegetables and flowers and I’m taking credit for it because the landlord is an organic farm inspector so she’s really involved in that realm and she’s really into biodynamics… but that just created that opportunity that we needed! This is kind of going back a little bit, but that December when we found it on sale, we had actually visited Wisconsin in September, because Dan’s grandpa was dying and the farm that we ended up purchasing. His parents live in the village of Fedonia is great because they can pop over and help out. We drove by this property, when you’re looking for place to live, you take a Sunday cruise and see what’s out there. And Dan said, “Look at that place and said I’d live there!!! And three months later here I am and I had to drive to the address and there was no picture on the website… so when Dan came to the property he was like, yeah, I don’t know if I can say no? When we were looking for the property we didn’t have a lot of money saved up, his parents helped make it happen by, allowing us to take out an affordable mortgage that we could afford. So his dad has an excavating business and he owns part of farm, and has a shop there, he has the bigger equipment. That’s the coolest story, I could live there and 3 months later there it is for sale! however what works for one doesn’t necessarily work for another and really farmers are pretty nice people, espeially organic farmers! And once I finihsed my training and I had lived in Wisconsin and then I started getting work, I got to drive around Wisconinsn and get familiar with a state I didn’t really know. Could you tell us a little more, how long did that take you that training? Like a year, 3 years, people are probably like, I can be an organic farm inspector? I’m gonna check that out. Usually you know if you completed your certificate. Typiucally you do whatever programs you want to do. I eneded up taking the training for all of the programs, because organic dairy is going to have ocmopletely have didffenet then a crop production farm. Then you typically find an inspector who will take you on as an apprentice, then you attend various farms with the inspector you shadow them and then typically after the 3-4th one you feel ready you write the report and that inspector will check it over and make sure its fine. There’s options that let you work for various certified inspections many different ones what all follow different USDA Organic Standards, they typically have their own guildeslines that they create within the agencies guidelines depending on what they are looking for. Some organic agenices only have in-house inspectors, and maybe work part time. Other ones will higher independent ones, you kind of get on a list. You try to get 3 inspections in one day in an area to maximize your time, sometimes it’s only 2 because sometimes it can take a while, but when you’re gone your gone and you can’t do anything on your farm… when you have a farm there’s never nothing to do. And then when you get home, you have to edit that report and go in your zone on the computer and exit the farm again… so for me, it was mostly about time. then when I got pregnant with my second child, a little girl…I was due July first… I was like OK, we’re gonna have a summer baby… I said I would do inspections this year but I owuldn’t be close to the due date, after she was born, she didn’t want a bottle… I was like well I can work with her and make her want it, I can say forget it, maybe this is telling me it’s time to stay home with my kids and not try to do everything, so I dropped inspections, so I thought what else can I dod to fill that void? I could ask you a lot more inspectinos? Can you not bring a child on an inspection, you’re talking to someone that never had a baby… it seems like that could be the kind of thing that you could take a baby along? But no? It’s early in the year. Last year was a little bit different then other years… only becasue it seems the weather’s changing in SE WI as it is in other places so the season has been cahnging a little bit, we mananged to get th high tunnel, like a greenhouse with super large hoops pretty high from the gorund level. It was our first one. there is a big difference when you put things in a greenhouse, there’s a difference between how things go in a high tunnel or green house or out in the firled. I really enjoy gronig herbs, and putting them in our csa every week. Now my peonies come up in the spring and then they’re done. My peonies have to have ants pollinate them..
ants do help them open up, peony buds are really sugary, sweet sap, if you don’t have ants they’re not gonna blossom. It’s one of those symbiotic relationships. So 2 things I want to say really quick. Have you read The Organic Farmer’s Business Handbook? I interviewed him last fall in epsiode 102 and when I was looking for a place in NJ I used his book for developing a business plan. But when he came on he talked about how growing tomatoes in a high tunnels is the only way to go!! Also in February I interviewed this guy Andrew Malucelli from the NRCS and he talked about a program where you can get money to put up one of those high tunnels. The deadline was February 19th, and he came on Feb 15th. Was it Equip? (I said no, but it is… the same program) IDK, he’s from theNRCS, and we applied and we’re waiting to find out, so if we get them we’re like you and won’t really be able to use them till next year… I really like that part a bout you said you put perreneials in them, and you put it in your CSA and boquets, is that one of the products you sell to chefs? Yes so they’re cut flowers, like the plant but must be slightly more cultivated for the flowers. Boy are they pretty! Gonna be a challenge to grow it, really gonnna hve something that nobody local has. and the tumeric and gingerroot seems to be really hot right now. I was wondering, because I haven’t had anyone talk about ginger wihtou the tumeric etc. tey must be in the same family? Same heat? IDK if they ahve the same venefits, I don’t really know about the helth benefits. when you have a small farm you have to do a lot different things to keep it going! The Farm on the Roof: What Brooklyn Grange Taught Us about Entrepreneurship, Community, and Growing a Sustainable Business! and she talked about that farms have to do different things and really focus on education, but also events was a big part of their success and make their business turn a profit and that it is possible to create green jobs and build a sustainable business. I love your passion for the environment, you’re gonna totally resonate with listeners… and today it’s May 4th and already there’s a huge wildfire already in Alberta, Canada today and I love your passion about the environment! I’m gonna skip down Mike gave me this new thing for the middle of my show called Get to the Root of It! So are you ready to get to the root of it? You know, because everything is so hand done, this is my least favorite, I usually don’t have to do it but I did because Dan was gone… it’s spreading manure, cuase we do it with a wheelbarrow and a shovel. And I can’t hold as much compost as Dan can… it’s just one of those monotonous jobs. You shovel into the wheelbarrow, and haul it down, and then shovel it out nice and even on that garden bed. I really don’t have to do it very often, but this spring and last fall, I had to do it a little because Dan took a job in NY, building the first emission air scrubber on the international cement production plant for LaFarge Cement Company. Dan and his brother… building it and they still are because he had to come back to the farm. It’s really lovely and of course I like arranging the flower arrangements collecting things knowing what is good to harvest and putting it together. I love sharing and being able to take something from our land and taking it to consumers that are going to be using it after! I love selling to chefs cause I know they’re gonna make something amazing out of our food and there are gonna be a bunch of people eating it that night or the next day! It is, make sure you find time yourself. because with farming… anybody who is managing land, gardening, on a large scale, there is never nothing not to do! Yes, or you’ll start to resent it! And it beomes less enjoyable and you always want to keep that enjoyment there…when you are self-employed, not just farming and gardening, when you’re self-employed there’s a lot on your plate and a lot of hats you have to wear! You can I just wanted to reap the benefits before that. Nobody’s giben me a reipe yet hardly! But what do you like to cook? That’s all you really need to make something. I always thought if I made a cookbook, it would be the 3 color cookbook. And when you throw the beets in there everything turns colorful! Well with Facebook I am a part of some Facebook groups. I check out that, and in Facebook Groups you can type in the search button and they will find it in that thread and you can see what otehr people have said. I like that, if you’re in a Facebook group the search bar really does looki things up like if your looking for tomato blight or aphids on my cucumbers there’s that little search bar, it’s not perfect but it’s good. I love Facebook Groups! If your part of groups your already in that group and people are very generous they’ll put links up there! I’ve haven’t looked at a lot of online searches, but I can pintpoint I have a lot of books on my shelves. 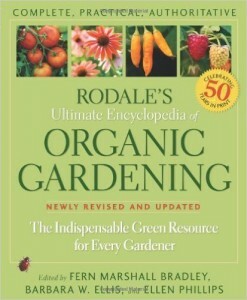 Companion Planting book by Rodale. it’s a philosophy of gardening! It’s written by Wolf D. Stori, book i read a long time ago in 2005 and I took to it! It’s great! Braise Toure Des Farms over 300 bicyclists arrive for a farm tour! Its’ local, you have to educate the people next door as much as the people 40 miles from you. Maybe I’m diverting but even on Facebook, you can learn a lot through Facebook, sometimes it’snot the place to discuss things, and sometimese, talking direct to a person is where you want to talke about things… people have minds made up…. Anyway maybe I’m getting off topic…… local level educating people only way your gonna help people in their minds, be aware what’s happening locally… etc were’e all connected we all got to care…. I know you are one of my avatars out there like the person I want to talk to about this, I know you have to get goring watch the kids etc…. I wish Dan was here, he’s full of it! He’s a bit of a philopsopher! I was thinking what did you say earlier that was the perfect answer for htis…. education is important from young to old… really exposing and helping others get back to nautre…learning about where their food comes from, the doesn’t just show up from the grocery, thing about, people and farmers, is food is very much a part of humanity, where would people be without food? Now we connected through Dr. Anh who has a podcast called Food as Medicine right when I first launched and she finally came on my show and she lived and worked here in Fortine, MT where I live and Mike and I met!